The writing of this post comes after receiving two photos in the mail this week of my fourth great grandparents. I supposed there were photos out there somewhere and finally found some of them. Here is the photo I had been given of Hanna Mathea Christensen Jorgensen by one of the descendants of her daughter, Amanda. These old photos that are a watercolor/drawing of a photo means there is a photo out there somewhere. It was just a matter of finding it. This photo obviously had some issues with it, like water damage and the print just bothered me for a number of reasons. Well, I found a descendant of another daughter, Othelia, in the past month. She provided me this photo of Hanna, the actual photo the print above came from. It too looks like a print, it is of higher quality, and the eyes are. Further, they removed some of her facial features, which I suppose they could be viewed as a defect, but they offer much more personality and flavor than the doctored picture. Along with the photo of Hanna come the colored print of Olavus. I have also seen his name spelled Olaves, Olavis, and variations of that. No clue on actual pronunciation, but I have my guess. But his tombstone has Olover Jorgensen. But that we have this coloring means there hopefully is still an actual photo floating out in the world somewhere. The ears seem a bit much, maybe they were actually like that, or maybe it is the imperfections of the artist. Before I get much into the facts, I think it is important to share the story of Olaves and Hanna as told by their daughter. 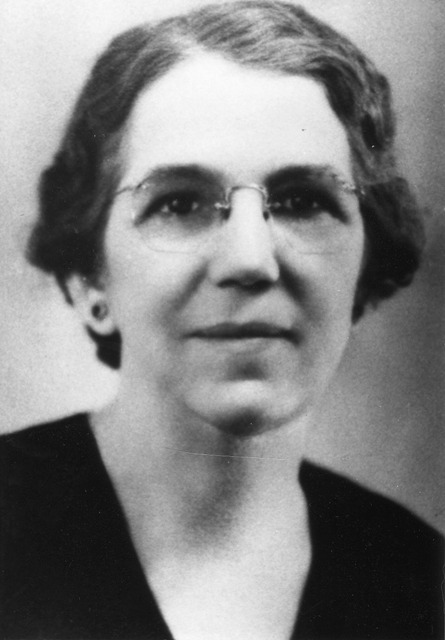 Amanda Emilie Jorgensen wrote this short biography about 1933. She married Albert Sigvard Swensen. Her grandson, Robert Mathis, shared the handwritten story with me. 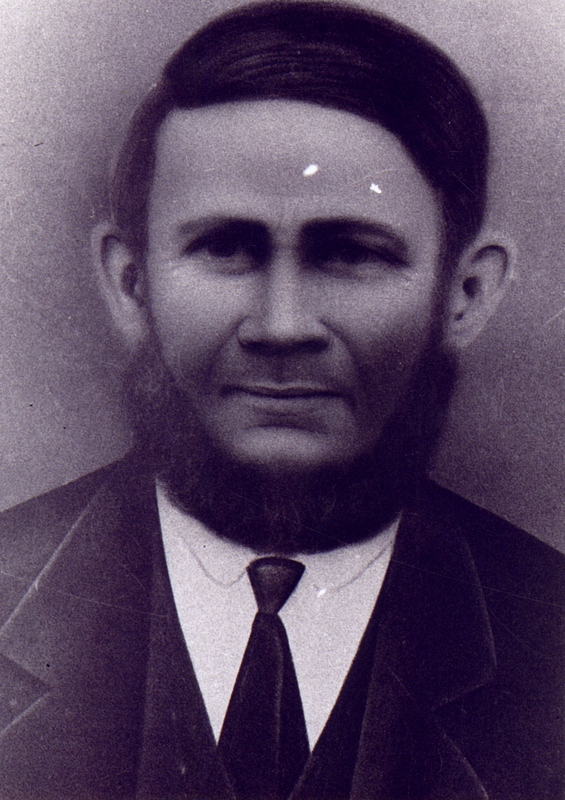 “My father Olaves Jorgensen was born in Drammen Norway 19 November 1830. “When he was twelve years old he started working in a saw mill for Mr Kjer. 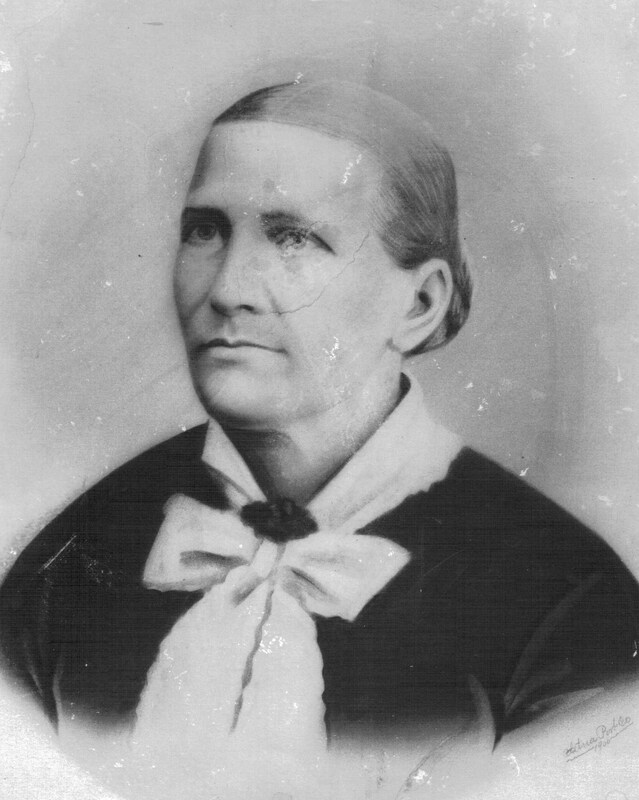 “My mother Hannah Mathea Christensen was born in Drammen Norway fourteen November 1831. She was a dressmaker when she was old enough to work. They were married fourth november 1855 in Drammen Norway. Two girls were born there. Constanse and Olga. Then Mr. Kjer transferred Father to Fredrikstad Norway to another saw mill and he worked there until he came to America in 1896. “Mother was very religious and always went to a church but never felt satisfied. She lived in an apartment house and was talking to a lady named Mrs. Ask that lived across the hall. Religion was mentioned and mother said she wanted to find a religion that baptised people like Jesus was baptised. “Mrs. Ask asked her if she had ever heard about the Mormon people and mother said no. Mrs. Ask said to be ready Sunday afternoon and she would take her to hear the Mormon Elders. “As soon as mother heard the Elders preach she knew it was the true church. The Priest and other people tried to tell her it was wrong but she wouldn’t listen. The Elders had to take her to the ocean to be baptised after dark as they would be arrested and put in jail if they were seen baptising people. 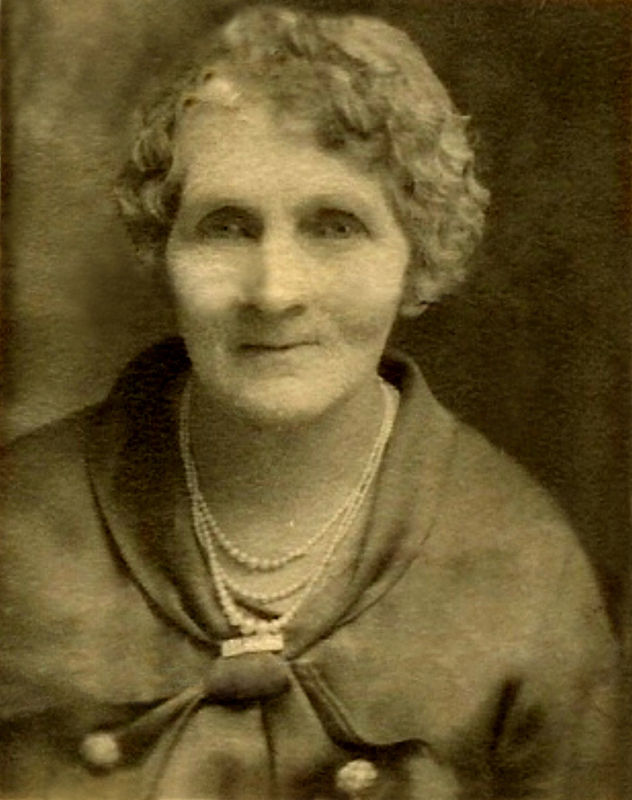 “Mother was a very faithful member and the missionaries were always welcome in their home. 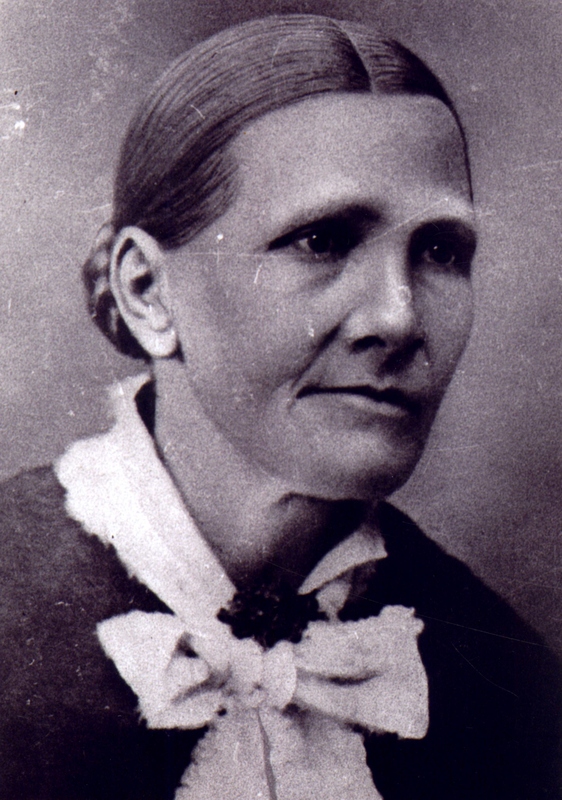 She was President of the Relief Society for years. Father wanted to join but didn’t dare to because he knew he would lose his job. Father was baptised just before he and mother came to Utah. “They went directly to Richmond Utah in Cache Valley to be near their daughter Othelia. They were here four years and had never had the opportunity to go to the temple when mother died in November, 1900. Father and Othelia and Constanse came to Logan and did the work for mother and she was sealed to Father. Father died in November 1904 and they were both buried in Richmond Utah. “Mother told me that the pastor of the Luteran Church said her parents Christen Hansen and Marie Evensen were the most beautiful couple he had ever married while he was a pastor. Olavus Jørgensen was born 18 November 1830 according to his christening record, christened 26 December 1830 in Bragernes, Drammen, Buskerud, Norway. His parents are listed as Jorgen Olsen and Oline Knudsdatter. Olavus and Hanna Mathaea Christensdatter were married 4 November 1855 in Stromso, Buskerud, Norway. On the 1875 Norwegian Census, Olaves is listed as a Skiber ved Kjos Brug at Nygaard Gulbergsiden Glemmen, Ostfold, Norway. Not sure what that means and I could not find a good translation. He did something with ships. Konstanse Elise Olavesen who is 18 and born in Drammen. Her husband, Ole Kristiansen is also listed along with their oldest daughter Valborg Olsen. Ole and Valborg listed as born in Glemminge. It is interesting that my Constance/Konstanse’s last name is Olavesen which should give more clarification on her father’s actual name. Valborg/Walborg Olsen, her father certainly was Ole, but it is interesting they appear to have stopped using the datter by this point. I have written on Constance previously and you can read about her here. Olga Olavesen, 15, born in Drammen. Marie Olavesen, 11, born in Fredrickstad. Otilie Mathilde Olavesen, 8, born in Glemminge. Amanda Olavesen, 3, born in Glemminge. With the gaps in the children, we know of at least one more child, Olav Emil, who was born 28 October 1870 in Fredrickstad and died 16 February 1871. There may be more, but we don’t have records of them yet. Constance married Ole Christiansen. I have linked her history page above. Olga married Oskar Darius Danielsen and remained in Norway. They had 10 children together. They were LDS but I think they struggled with activity due to the constant flow of LDS people out of Norway to Zion. Mari Caspara married Lorenz Christian Mathisen. I believe they also remained in Norway but I have not been able to confirm anything on this family. Othelia Matilda married Niels Lillienqvist Eskelsen. I believe Othelia emigrated with her parents. She met and married Niels in Utah and married him in 1896 in the Logan LDS Temple. She did not emigrate with her parents in 1896. Amanda Emilie married Albert Sigvard Swensen in 1894. I referenced her and provided a photo in a previous post. Olaves and Hanna immigrated alone to the United States. They departed from Glasgow, Scotland on the Circassia and arrived 17 December 1896 in New York. Hanna and Olaves are located on the 1900 Census on 10 June 1900 in Richmond, Cache, Utah. I really don’t know anything more than what Amanda wrote above. Hanna died 2 November 1900 in Richmond at age 69. Her death certificate indicates her name as Hanna Mattie Jornsen and she died from Asthma. The certificate says her husband is Oloyes Jornsen, probably some sign of a person taking the record from a thick accent. Olaves died 16 November 1904 in Richmond at age 74. His death certificate indicates his name as Oloyes Jornsen and he died of LaGrippe. I had to look up LeGrippe, which is apparently another name for influenza. His son-in-law, Neils Eskelson provided the information and indicated Olaves was a widower. Both are buried in Richmond, Cache, Utah.